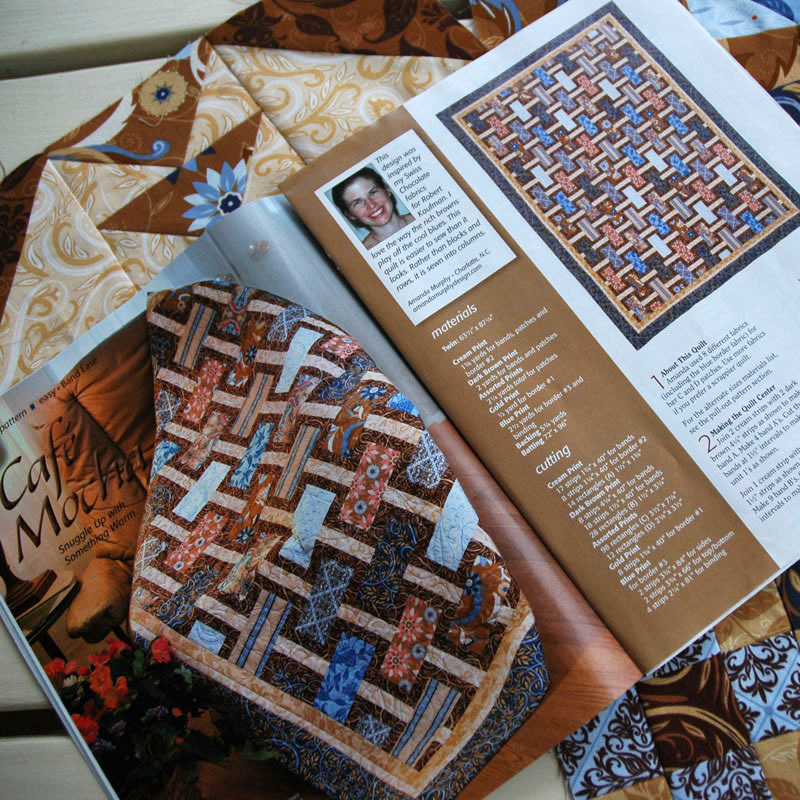 Home / Uncategorized / Quiltmaker’s (and my) Cafe Mocha! Quiltmaker’s (and my) Cafe Mocha! 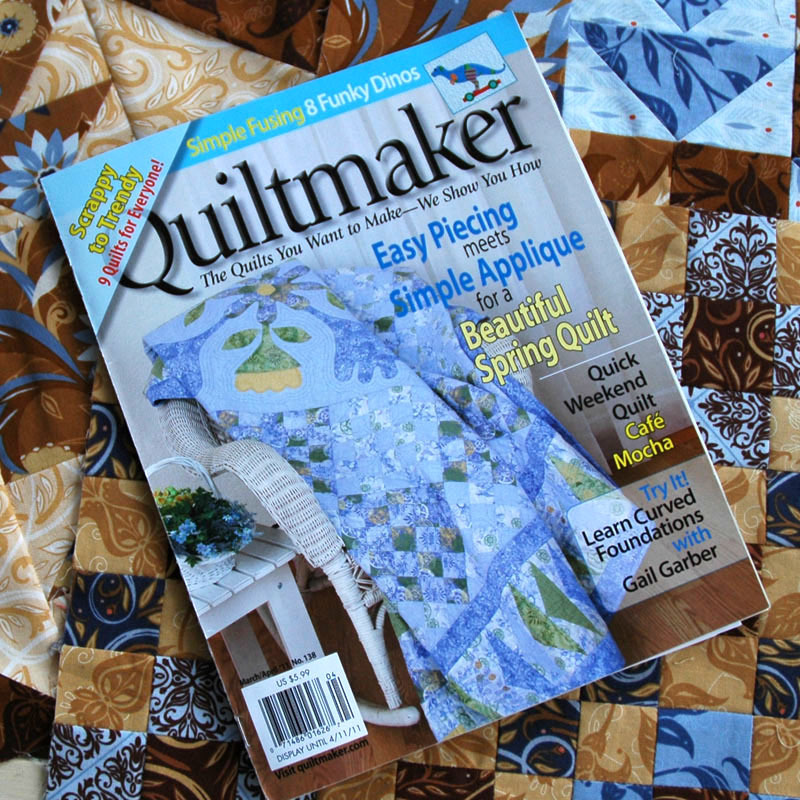 I’ve had lots of emails this morning about a quilt that I designed on page 30 of Quiltmaker’s March/April Issue. If you would rather do the quilt in the chocolate (red) color story, change any replace the last three digits of any SKU that ends in “227” with “167”. Previous post: Fat Quarterly’s Swiss Chocolate Roll-Up Giveaway! Next post: Another Swiss Chocolate Giveaway!